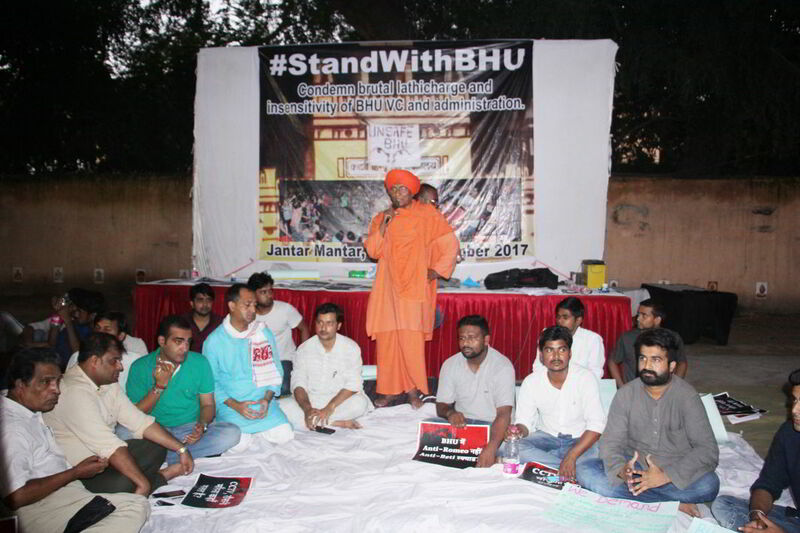 A two-day protest was organized at the Jantar Mantar in Delhi (September 26-27) by the alumni and students of Banaras Hindu University (BHU) over the brutal lathi-charge against the students on September 23. 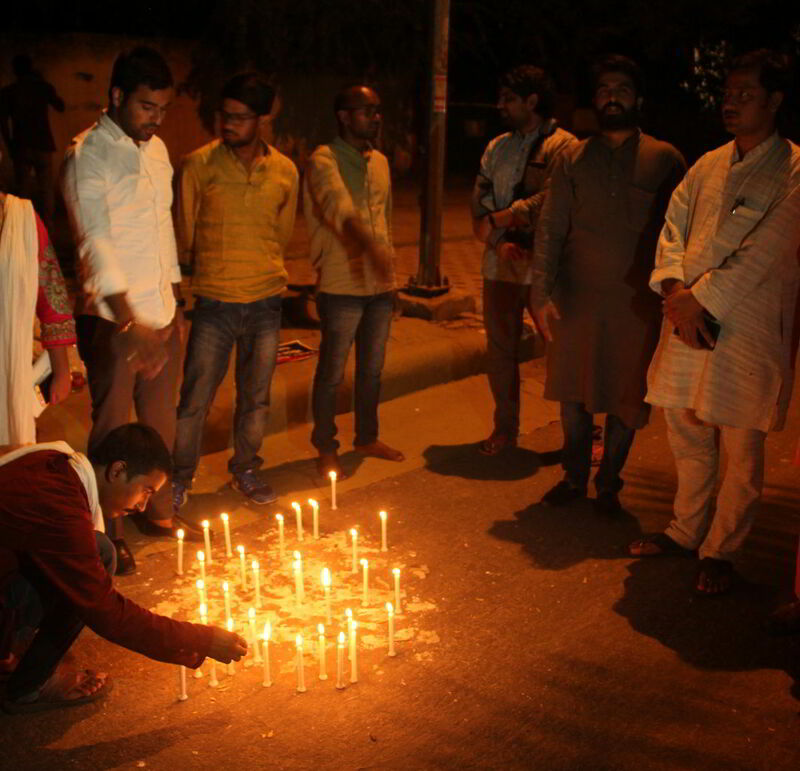 The students then were protesting against an incident that took place on September 21 where a student was harassed by unidentified men on her way back to the hostel. 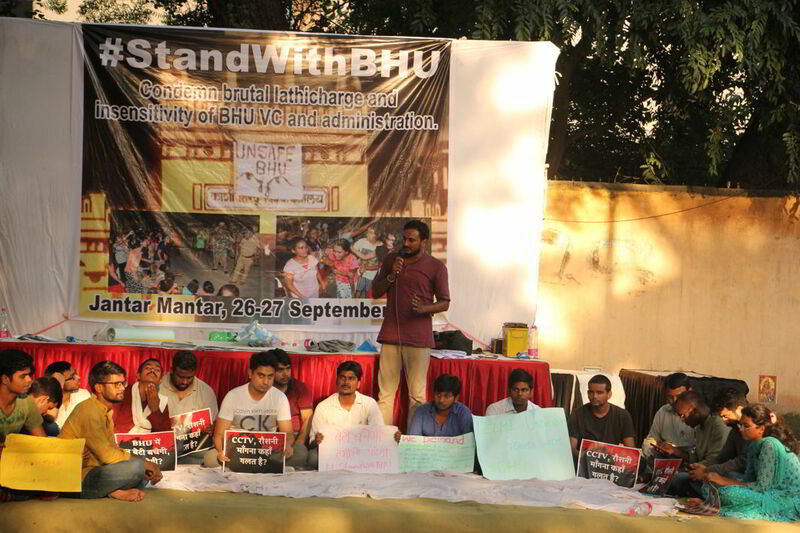 The Joint Action committee from BHU, which included a group of 11 of the university’s students, protested against the lathi-charge and discrimination faced by female students in the varsity. Their demands included suspension of the vice-chancellor, the SP/DIG along with a judicial enquiry into the event. These students got the support of other universities such as Delhi University and Jawaharlal Nehru University in their protest. Activist Swami Agnivesh also extended his support to the protesting students and called out the vice-chancellor of BHU, G C Tripathi for his comments and actions. The students also demanded formation of a sexual harassment committee, installation of CCTV cameras, gender sensitization in the campus, abolition of curfew timings and other discriminatory rules for girls. 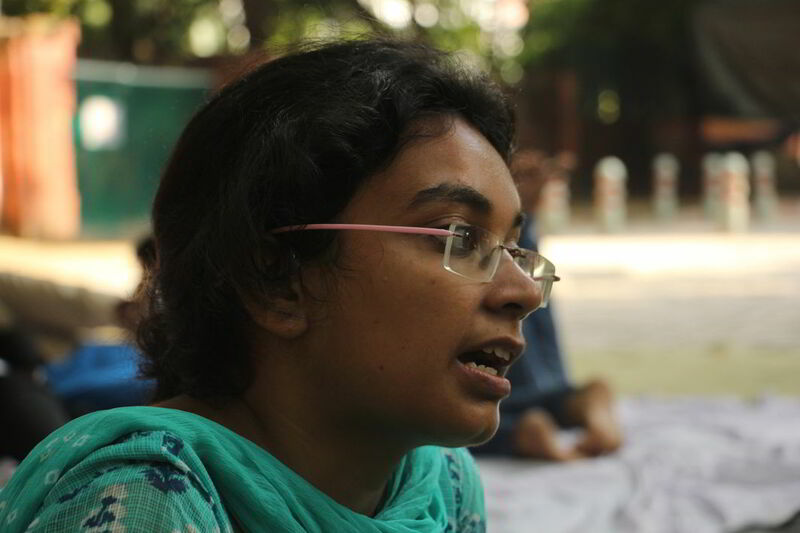 Mineshi Mishra, a Psychology (Hons) final year student of BHU said that on September 23, the vice chancellor was asked to address the students at the protest site as women’s safety was the larger issue, whereas the VC wanted to meet only some specific students. The girls were told by the VC’s PA that he would meet them soon. As they were waiting for the vice-chancellor to arrive, the police suddenly started thrashing the students. Students were lathi-charged across the campus. The girls who were hiding in the Women’s College near to the protest site were also thrashed and abused by the police. “This further agitated the students who were waiting just for a dialogue with the VC. Instead, the VC set the police on us with lathis and teargas and rubber pellets. It was shattering,” Mishra said. Meanwhile, the Chief Proctor of the university, Onkar Nath Singh resigned on Wednesday taking moral responsibility for the incident. The station officer of Lanka police station, Circle Officer of Belapur and three Additional City Magistrates were removed following the demonstration against the lathi-charge. However, the students are not satisfied by these removals and resignations instead they call all of it a farce. The students alleged the university and the VC of having a regressive stand regarding women and their education. When the students had demanded a 24×7 library and access for girls, the university administration had denied their demands saying that letting women access libraries in night is not practical. They also said that the VC in his two-year tenure has made comments in public which very clearly depicts his mentality towards women. Citing one such incident, the students told that the VC in his address in an IGNOU conference in Delhi had said that the female students keep the scholarship money for their dowry and use it for many such things which cannot be openly said in such a platform. In another incident in March, this year the VC in his address to the students of Mahila Mahavidyalaya, BHU had allegedly said that for the VC, daughters are those who, if asked to choose between their career or their brother’s, give more preference to their brother’s career. “Anybody who is educated, rational and has a scientific temperament will naturally oppose such orthodox views and so the friction is inevitable. Our fight is not against that chief proctor, the VC or any such official for that matter instead it is against the regressive mentality that the university has for women,” Vikas said. On being asked about the alleged petrol bombing from the students, the BHU students responded that ones who threw petrol bombs were goons protected by the VC. “This is a group which is constantly involved in molestation and extortion inside the campus. They make derogatory comments about women on social media and have close connection with the VC. This is the reason why no complaints can be made because when the assaulters are themselves defended by the VC, who will take action against them?” one of the students said. “The alleged violence was done so as to break our protest and split us into groups,” Mineshi said. A constant criticism about the university is the lack of security measures on campus. The students too complained about the same. The university has no cell to address cases of sexual harassment on campus. All that the girl students can do is to complain to the proctors who in return shame them. “The proctors alone get a budget of Rs 16 crore. Where is the budget used? The only job of the proctors now is to do moral policing and to catch couples who move together. The girls have had to give it in writing that they are guilty of moving with their friends and will never do so in the future,” Mineshi said. The students said that it is not easy to protest against the university administration. The girls have been speaking up for so long but to no avail. The students who speak against the administration are personally targeted in classrooms. From hostel allotments to academic everything can be affected if the administration is criticised. The students also said that the professors are also under the same pressure as the students and therefore they have not come out openly in support but clearly back the students’ protest.